Neil Lennon earned relief amid a tough start as Celtic boss as his side grabbed a 2-2 draw with Lyon. Neil Lennon earned a welcome relief amid his difficult start to life as the permanent manager of Celtic as his side battled back to grab a 2-2 draw with Lyon in their opening match of the Emirates Cup. Michel Bastos and Harry Novillo had left last season's SPL runners-up flailing and apparently set for more misery after a midweek demolition at the hands of Braga in UEFA Champions League qualifying. But young summer signing Gary Hooper snatched a goal back with full-time approaching and Greek substitute Georgios Samaras then poached an equaliser on the stroke of the final whistle. With the European humiliation fresh in the memory, a spirited fightback will have pleased Lennon, who was handed a full-time contract this summer following a promising temporary spell in charge in the second half of last season. Celtic have now failed to win four out of five friendlies to allow sceptics room to scorn, but their manager would be delighted with a never-say-die attitude against 2009/10 Champions League semi-finalists and he will be desperate for a repeat when Braga visit Glasgow on Wednesday. Aiden McGeady made his first appearance since May in the first match of this weekend's four-team tournament, with the transfer speculation surrounding the Republic of Ireland winger having reached fever pitch. In a cameo of just under an hour, the 24-year-old showed flashes of the ability which has seen Spartak Moscow bid a reported £9.5million for him and rumoured interest from Aston Villa and Tottenham. 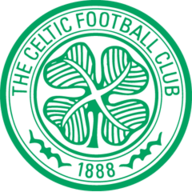 As well as bringing in McGeady and Hooper, Lennon handed a debut to youth player Filip Twardzik, while recalling Milan Misun, Marc-Antoine Fortune and James Forrest. In a lively start, Fortune missed two great chances to put Celtic ahead inside four minutes, first missing a diving header after meeting Forrest's right-wing cross unmarked and then ballooning a left-foot finish over the bar upon being put clean through by Hooper. Scott Brown had the net bulging in the 11th minute, but Fortune was rightly flagged offside delivering a low left-wing cross. 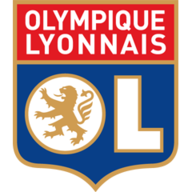 A few minutes later, Misun prevented Jean Makoun giving Lyon the lead when he blocked the midfielder's finish after it beat the sprawling Lukasz Zaluska. Midway through the half, Kim Kallstrom rasped in a volley which was blocked by Fortune after Celtic only half-cleared a corner. If that was a warning shot, Lyon landed a decisive blow in the 33rd minute. Celtic gave away a needless free-kick near the left corner of the area, which Bastos spectacularly thumped past Zaluska high into the net. Although it was fiercely struck, the Hoops goalkeeper will have been disappointed at leaving so much space to his right after shuffling the other way. Lyon pushed for a second goal and Novillo dragged his finish wide after a clever one-two 20 yards out. Moments later, Celtic right-back Cha Du-Ri burst forward into an acre of space onto Forrest's ball, smashing a volley straight at Remy Vercoutre when he should have played in Fortune. The summer signing made amends with two pieces of classic full-back play before half-time, getting in behind the Lyon defence and delivering a pair of crosses which could easily have been converted. But Fortune nodded the first into the ground, while the second evaded the head of Hooper by inches. Lyon, who brought off goalscorer Bastos for Yannis Tafer at the break, almost made it 2-0 when Novillo's 20-yard strike hit the crossbar. Celtic then withdrew Brown for Efrain Juarez, with their captain having hurt himself minutes earlier challenging Kallstrom for the ball. Brown's departure nine minutes in was almost immediately followed by Lyon's second goal, Clement Grenier sliding the ball to Alexandre Lacazette, who cut it back for Novillo to fire home via a deflection. The goal sparked a raft of double and triple substitutions by both sides over the subsequent 20 minutes, including the withdrawal of McGeady. One of the new arrivals, Loic Abenzoar, played in Tafer for a fine volleyed finish which was rightly ruled out for offside. The spell also saw Juarez fire just over for Celtic from 25 yards. With 15 minutes remaining, Lyon substitute Jeremy Pied almost embarrassed Zaluska with a volley straight into the ground which bounced up and needed fingertips to turn over the bar. Celtic's substitutes were also making an impact, Juarez striking the post with a superb 25-yard drive across Vercoutre and Maloney cutting inside and shooting straight at the keeper. Their persistence was finally rewarded in the 82nd minute when Forrest's cross was volleyed in by the unmarked Hooper from point-blank range. Zaluska made a sprawling save to prevent Tafer immediately restoring Lyon's two-goal advantage. Celtic substitute Charlie Mulgrew set up Forrest for a header which flew over before playing in a free-kick from which Samaras made no mistake.